Are you looking to create a unique, fun, gorgeous outdoor living space? Have you always imagined a warm, welcoming backyard where you can lounge with friends, good food, and wine for a relaxing evening? 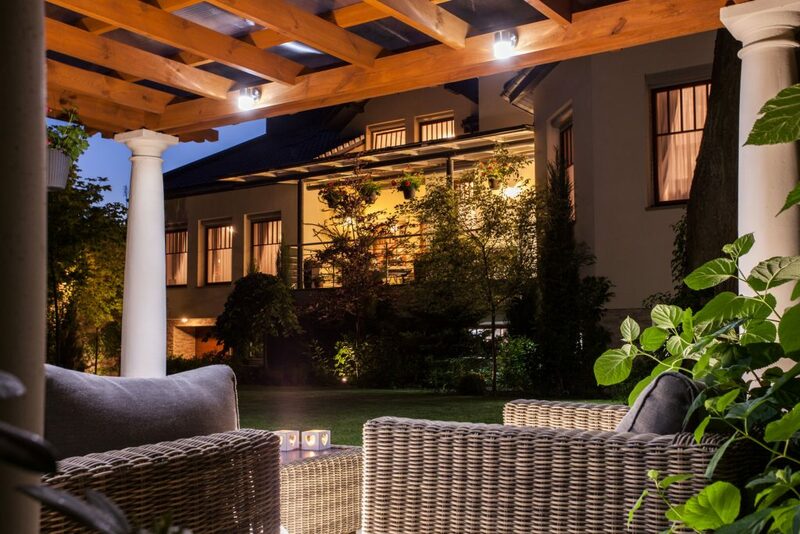 Lighting your backyard is the best way to create the environment you’ve always wanted while also maintaining a safe, well-lit area for all of your guests. We’ve put together a few of the best tips for putting landscape lighting to use in your back yard. Before you decide what types and styles of lighting to use, you need to identify the perfect spots to place them. Lighting is more than just aesthetics—it also plays an important role in preventing injury and harm. Your first lighting locations should be areas like the edges of a patio or deck, stairs, or edges where poor lighting could result in injury. You can also shine light on pathways to keep people from stepping in your garden or falling off a path. Next, think about areas where you would like to entertain. You can use lighting on a patio to create a warm, friendly environment. You can transform a dining table into a well-lit focal point or illuminate the outside of a fire pit. Finally, you should consider security. All backyard entrances or driveways should all be well-lit to provide you with safety and to deter any would-be burglars. Hardscape needs lighting, too. Use uplighting on a statue or structure in your backyard to create a stunning effect. The object will stand out beautifully amongst the rest of the landscape. If you have a water feature in your backyard, use landscape lighting to enjoy it to the fullest day or night. Do you have a backyard that’s full of trees? Nothing can illuminate them more effectively than moon lighting. This technique casts light downwards to create a natural lighting effect. Use this style of lighting on a tree that you really want to stand out from the others. You can also use uplighting on trees or hedges near the edge of your backyard to create easily-noticed boundaries. Now that your backyard is beaming, don’t forget the house! 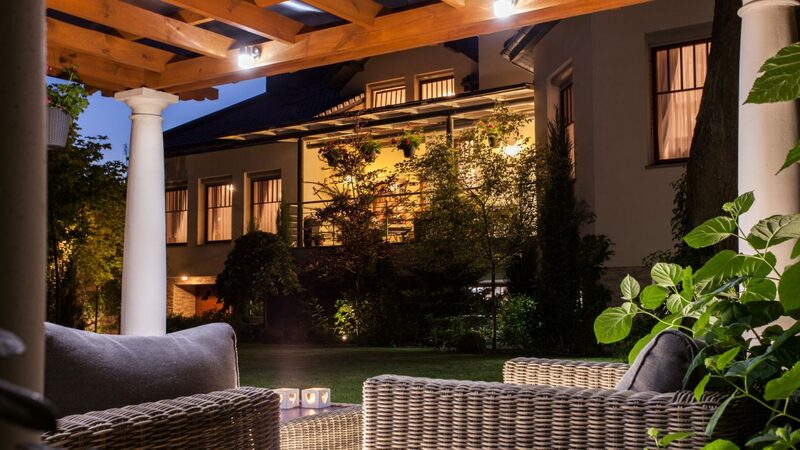 Up or down-lights in your backyard can create a wall grazing effect. Angling light at curved areas can help to illuminate your home’s architecture for all of your guests to enjoy.